The Canadian Golf Hall of Fame houses displays of the country’s best golfers and their records are truly inspiring. Is it possible to pick just ten from among more than sixty players and rank them in order? How do you compare the accomplishments of one golfer from the 1920’s against another from the 1960’s? Or a professional against an amateur? 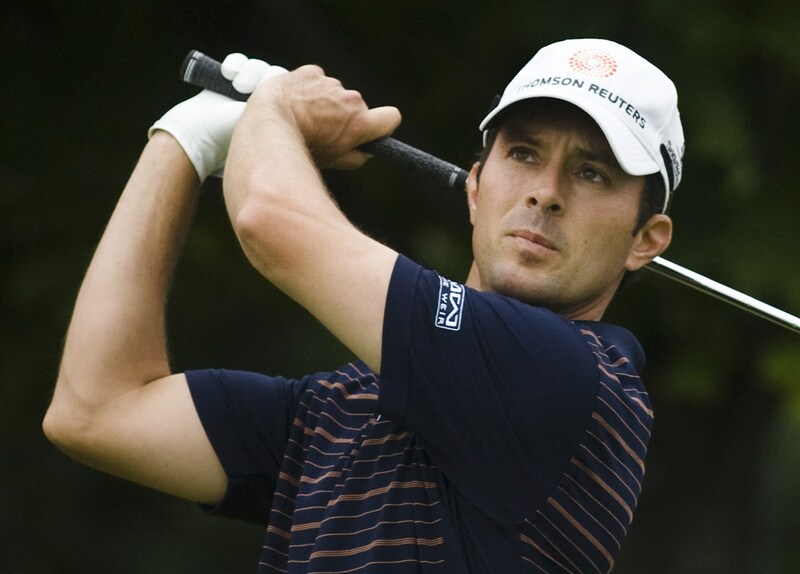 It would be easy to say that Mike Weir is Canada’s best ever because he won eight times on the PGA Tour, tied with George Knudson, but one of his wins was a major. Except that Gary Cowan won two U.S. Amateur titles back when that championship was still considered a major. That’s a throwback to the days of Bobby Jones, when many of the best golfers remained amateurs and competed for prestigious titles like the U.S. and British Amateur Championships. When Jack Nicklaus burst on the scene in the late 50’s, those two Amateurs were still considered majors and for the longest time, Nicklaus was accorded 20 majors – 18 professional and two amateur. If we used the same criteria today, Tiger Woods would actually be one major closer to Nicklaus because he has 14 professional majors and three U.S. Amateur titles. However, the practice of recognizing the amateur titles as majors ended about 20 years ago. Another argument for Mike Weir being Canada’s best golfer ever is that he played at the highest level - competing against the world’s best while Tiger was still prowling. How does that compare with winning an Olympic Gold Medal? Since only two of my Top 10 ever competed head-to-head when they were in their prime playing days, it’s impossible to base a comparison on individual matches or tournament results for the rest. Each player was considered a dominant player and had achievements well beyond their peers. For example, Gary Cowan and George Knudson reached their peak at about the same time. They were born a year apart in the late 30’s and won most of their titles in the 1960’s, one as an amateur and the other as a professional. Cowan grew up in Ontario while Knudson was from Manitoba. Perhaps their paths crossed in a few Canadian Juniors or a Canadian Amateur when they were in their teens, but Knudson turned pro when he was 21, so further comparisons are hard to make. Both set records for wins that still stand today. They’re certainly two of Canada’s finest golfers ever – but is one better than the other? To determine this ranking, I compared overall accomplishments and strength of field, then applied an intangible that I call “the fear factor” – an assessment about the player’s relative strength against the competition of the day. Was that player feared by others like Tiger was in his prime? Were they considered a consistent contender? The reason I used the fear factor is that most analysis of players from one era against players from another in almost every sport concludes that each would still be dominant, regardless of when they played. Mickey Mantle would still be a home run king today much as he was in the 50’s and 60’s. Jack Nicklaus and Tiger Woods would be superstars in any era. How they would do against each other in their primes is still open to debate but that’s another argument for another time. Weslock competed as an amateur primarily in the 40’s, 50’s and 60’s. During that span he won four Canadian Amateur titles and eight Ontario Amateurs, the first in 1944 and the last in 1970. He also won the Ontario Open, a professional event, seven times and was the low amateur in the Canadian Open on 11 occasions. Weslock earned spots on Canada’s Commonwealth team five times, Canada’s World Amateur Golf Team three times and Ontario’s Willingdon Cup team 21 times. Somerville was a threat in multiple sports, excelling at hockey, football and cricket, as well as golf. In 1932, he became the first foreign player to capture the U.S. Amateur Championship and between 1926 and 1937, Somerville won the Canadian Amateur six times and was a finalist on four other occasions. In the 1960’s, he won the Canadian Seniors twice and was co-winner twice too. 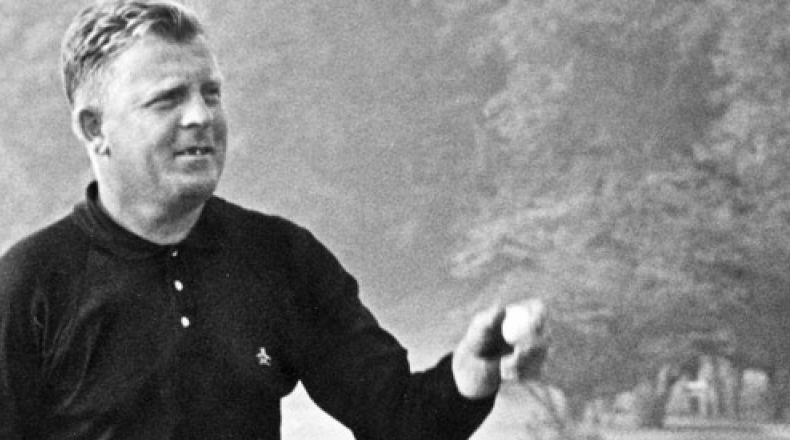 Somerville was voted Canada’s top golfer of the half century in 1950 by the Canadian Press. 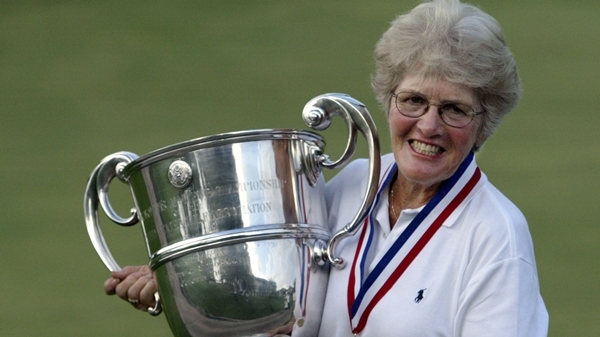 Post made her first LPGA victory a major when she captured the 1968 LPGA Championship at the age of 19. 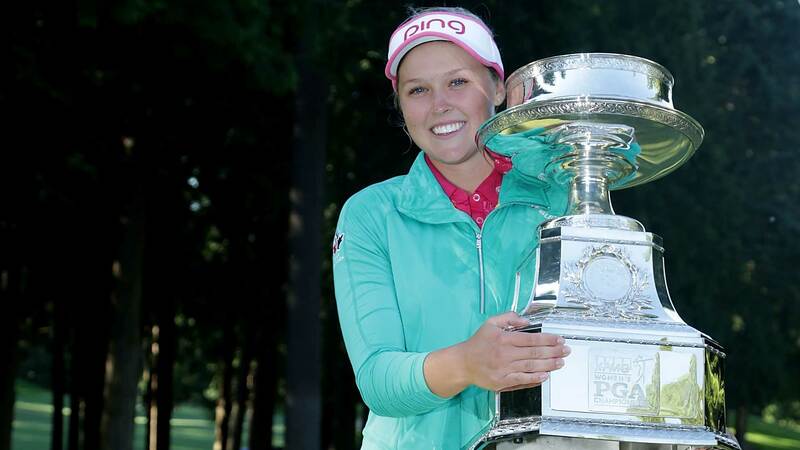 She was also awarded LPGA Rookie of the Year. 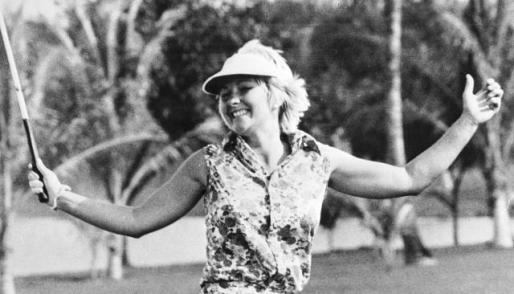 It would be another ten years before she won again but from 1978-1981, Post won seven more LPGA titles including two Colgate-Dinah Shore Championships, before that tournament became a major. In 1979, she was second on the LPGA money list and won the Lou Marsh Award as Canada’s Athlete of the Year. It may be fitting that Henderson and Post are tied on this list because their careers have paralleled each other so far. Both skipped college to turn professional early and each was considered a teen sensation. Henderson has six LPGA wins to her credit including one major, but that total is expected to climb as she is one of the top ranked players on the LPGA today. 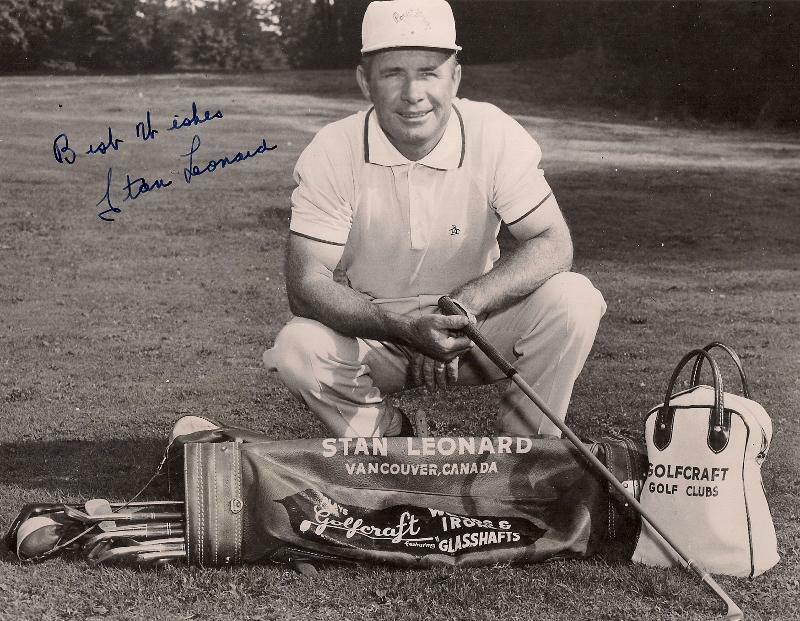 Leonard, a native of Vancouver, had tremendous success as a Canadian professional in the 40’s and 50’s, capturing the Canadian PGA Championship a record eight times as well as multiple provincial Opens in BC, Alberta and Saskatchewan. In 1954, at the age of 39, Leonard embarked on a new career on the PGA Tour where he won three times and had four top 10’s in the Masters. Overall, his six significant amateur titles and 40 professional victories are second most in Canadian golf history. Even without the 1904 Olympic Gold Medal, George S. Lyon would be a Hall of Famer. 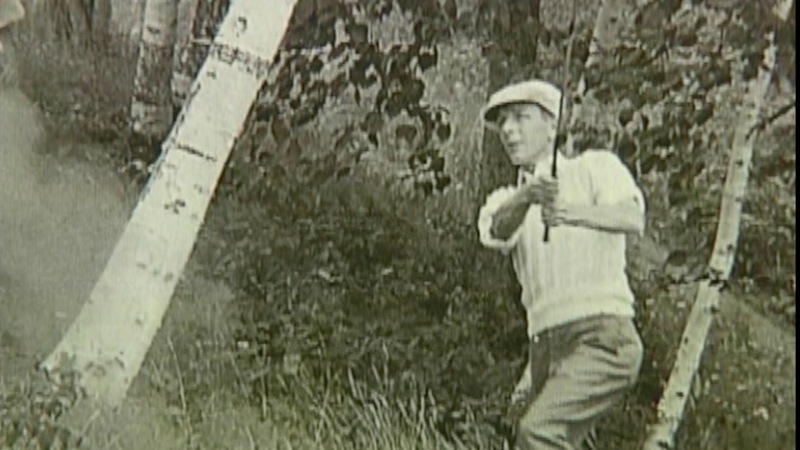 He won the Canadian Amateur eight times and was the runner-up in the 1910 Canadian Open. Lyon didn’t start playing golf until he was in his late 30’s and won the Gold Medal when he was 46. His first Canadian Amateur title came at the age of 40, a scant two years after taking up the game and his final amateur win came when he was 54. Lyon also won the Canadian Seniors six times and the North American Seniors three times, the final win coming after he turned 74. On the PGA Tour, Knudson was regularly noted for being one of the best ball strikers on Tour. Unfortunately, he was just a so-so putter. 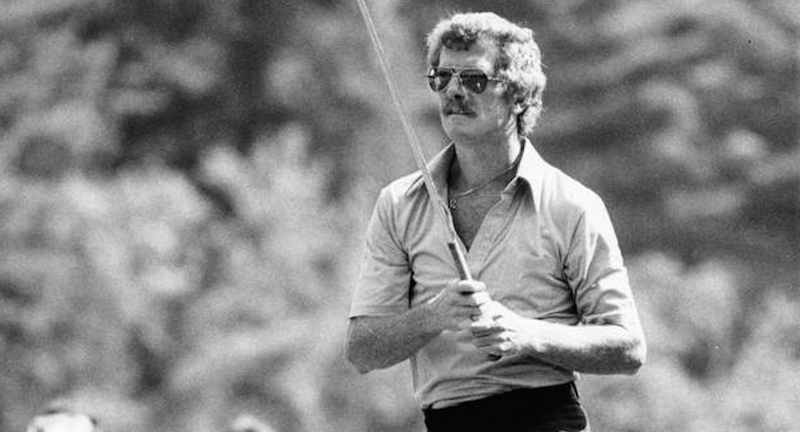 Despite his shortcomings with the flat stick, Knudson won eight PGA Tour titles (tied for most ever with Mike Weir) and had four top 10’s at the Masters, including a runner-up finish in 1969. George also won the Manitoba Open three times, the Ontario Open five times and the Canadian PGA Championship five times. In 1968, he teamed with Al Balding to win the World Cup. 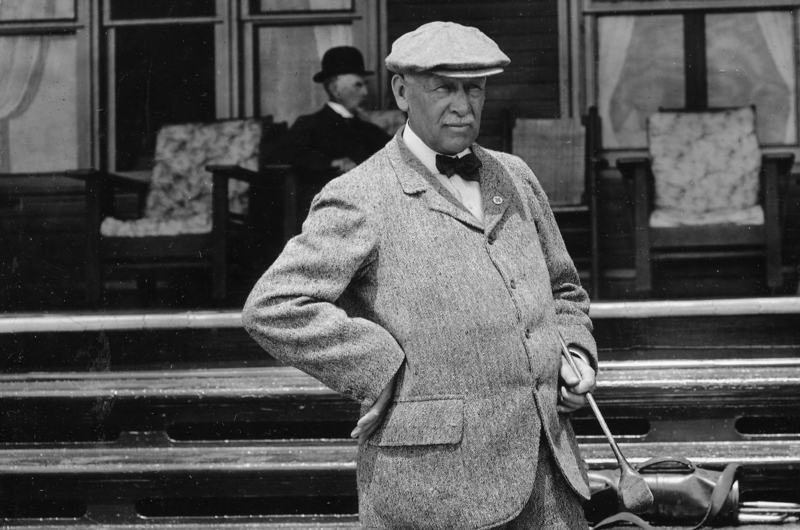 Of all the golfers in the Canadian Golf Hall of Fame, Moe might be the hardest to rank. An argument could be made that he’s the best Canadian ever to play the game while a contrary opinion might leave him off the list entirely. Moe’s list of accomplishments are long and include over 50 significant victories (most ever), 33 course records, Canadian Amateur championships (2), Canadian PGA Championships (2) and even some tournaments where Moe intentionally finished second because he liked the second-place prize better or didn’t want to have to make a speech. Recognized around the world as one of the best ball strikers ever, we’ll never really know how good Moe could have been because his shyness and aversion to crowds kept him from competing at the highest levels. But when Lee Trevino, Tiger Woods and Sam Snead all recognize his genius, you can bet he could have been among the best. As noted earlier, Weir gets the nod over Knudson because of his 2003 Masters victory, even though both have eight PGA Tour titles. At the peak of his playing career, Mike was one of the best short game players on Tour and a regular contender, despite below average distance off the tee. Before turning professional Weir won a couple of Ontario Amateurs, an Ontario Junior and a Canadian Juvenile Championship. 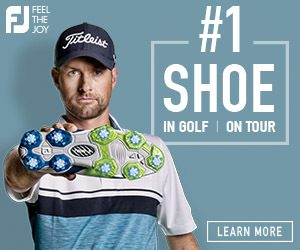 His breakout year was 1999 when he won for the first time on the PGA Tour at the Air Canada Championship in Vancouver. He added a WGC title in 2000 and the Tour Championship in 2001. Weir then had a magical season in 2003, winning the Bob Hope Chrysler Classic, his first of two consecutive Nissan Opens at Riviera and the Masters. At one point he was ranked third in the world. Weir almost won the RBC Canadian Open in 2004, losing a heartbreaking playoff to Vijay Singh. Now nearing 50, Weir remains one of Canada’s favourite golfers and hopes to add to his accomplishments on the Champions Tour. Maybe all you need to know is that Gary Cowan was voted Canadian Male Golfer of the 20th Century by the RCGA. His record includes one Canadian Amateur, nine Ontario Amateur and most notably, two U.S. Amateur titles. Those two “majors” in 1966 and 1971 were against some of the PGA Tour’s future Hall of Famers and winners of multiple professional majors. 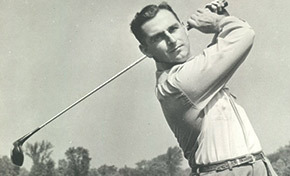 Cowan played in the Masters eight times and was recognized as one of the top amateurs in the world for over ten years. 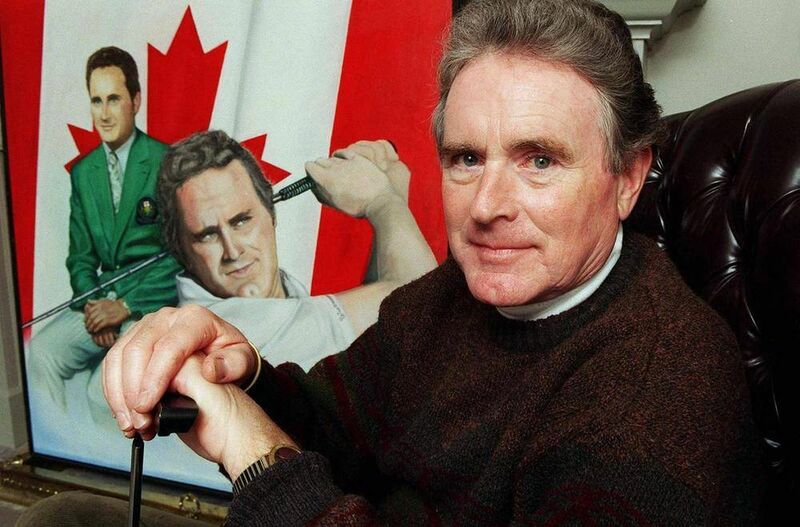 He represented Canada 19 times in International Matches and won numerous international amateur events including the Porter Cup, the Sunnehanna Amateur and the North and South. There isn’t enough space here to list all of Marlene’s many accomplishments but a few highlights should suffice: she is the only person ever to win the Canadian, U.S., British and Australian Amateur Championships; she has won three USGA Championships (a Canadian record); 11 Canadian Ladies Open Amateurs, 9 Canadian Ladies Close Amateurs and nine Ontario Amateurs; her victories span six decades from 1951 to 2003; and her U.S. Senior Women’s Amateur victory in 2003 made her the oldest winner of a USGA event ever. In addition, Marlene has represented Canada on dozens of teams and was twice recognized as Canada’s Outstanding Athlete of the Year with the Lou Marsh Award. In 2004, she was inducted to the World Golf Hall of Fame, the only Canadian to be accorded that distinction. For a complete list of Marlene’s many accomplishments and awards, click here.